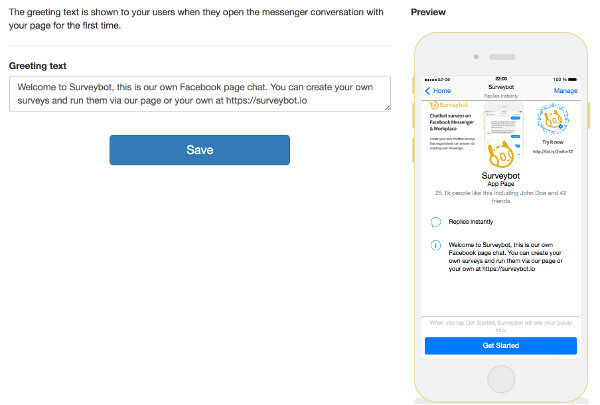 Surveybot has some exciting new features we think you’ll like! Thanks again to everyone that has shared their feedback with us. If you have any suggestions please feel free to get in touch! 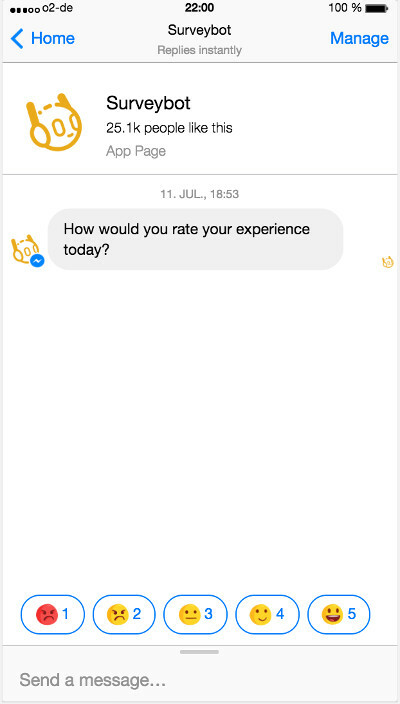 As you build your survey questions and messages you will now see exactly what each question or message looks like on Messenger. The Messenger preview will update in realtime as you build your survey. You can also preview what your changes look like on Messenger in realtime when updating your page welcome message, menu and greeting text. Check it out under “Manage Pages”. We’ve added the ability to search and filter throughout Surveybot to make it easier for you when working with your surveys and panels. 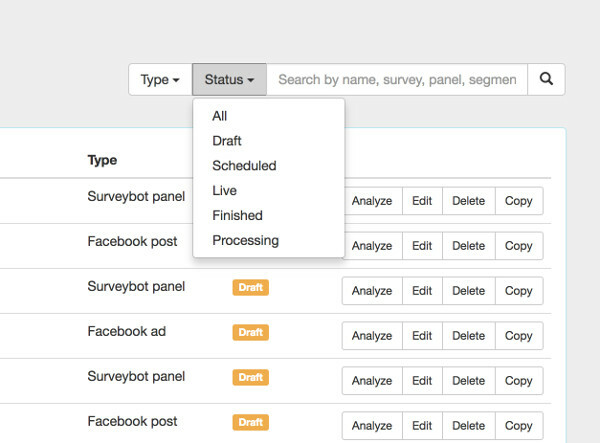 Search across your responses, panel members, surveys, campaigns and more. We’ve made it easier for you to work with your Panel segments. 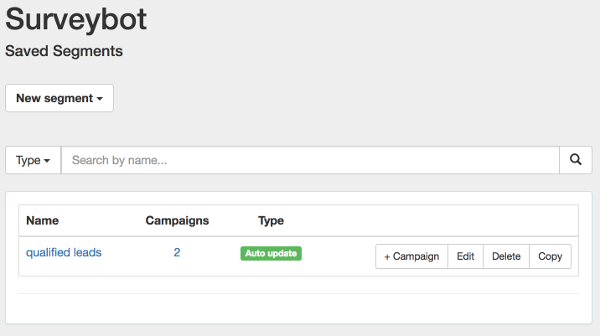 You can now search segments, launch campaigns from a segment and create segment when setting up a campaign. 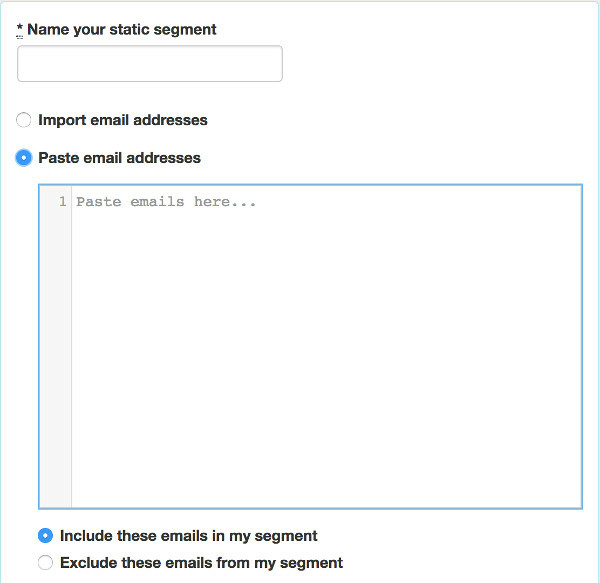 If you are collecting email address from your respondents you can now create segments from within your panels simply by uploading a CSV list or copy/pasting emails from a CSV. We have added a couple of new emoji question types that have a pre-defined scale for you. You’ll see them in the question type dropdown. “Emoji Likert Scale” is a 5 point likert scale and “Emoji Rating” is a 1 – 5 rating. If you are using Surveybot to capture responses regularly from individuals you can now limit the number of times they respond to your specific surveys. You can setup a response limit under Settings -> Logic. Rich content chatbot messages & more!